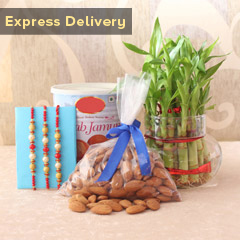 All that you need is to show some love to dearest brothers of yours and make them feel loved on this Raksha Bandhan. So, all that you need is to make choice for this wonderful Rakhi gift that will definitely help you win heart of all your three caring and loving brothers. 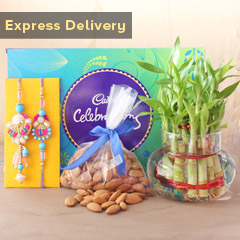 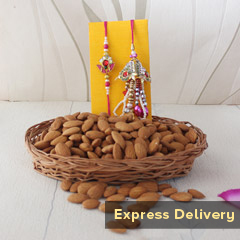 Along with Rakhis,, they will love all the delights of this hamper.